Dwight D. Eisenhower was the 34th president of the United States. 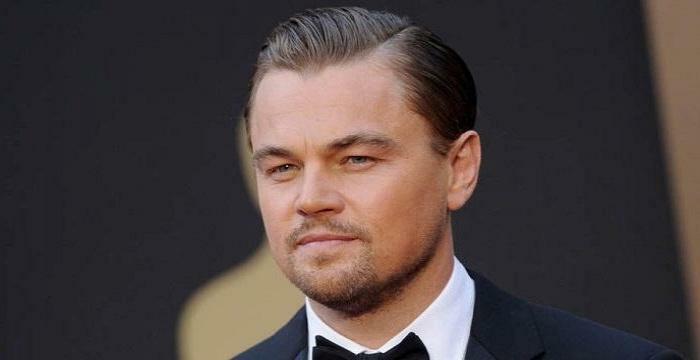 This biography provides detailed information about his childhood, life, achievements, works & timeline. Dwight D. Eisenhower was the 34th president of the United States, who reduced Cold War tensions and is known for his 'Atoms for Peace initiative'. Before becoming the president, he was a five-star general in the United States Army and played a pivotal role in the World War II. Eisenhower served as Supreme Commander of the Allied Forces in Europe, and successfully planned the invasion of North Africa in Operation Torch in 1942–43 and the invasion of France and Germany in 1944–45. Belonging to Pennsylvania Dutch ancestry, Eisenhower was born in a religious family in Kansas. After finishing his high school, he joined the United States Military Academy in West Point, New York. After graduating from the Army, he was commissioned as a second lieutenant. Gradually rising through the ranks he rose to the highest position in the army. After retiring from the army, Eisenhower contested the 1952 presidential elections to crusade against "Communism, Korea and corruption". He was president for two terms and through his initiatives and policies he made the world a much safer place to live. He played a vital role in ending the Korean War and de-escalated the tensions between the U.S. and the U.S.S.R.
Dwight D. Eisenhower was born on October 14, 1890, in Deniston, Texas as the third of his parents’ seven sons. His father, David Jacob Eisenhower, and mother, Ida Elizabeth Eisenhower, were of German ancestry. He did his schooling from Abiliene High School, in Kansas, and graduated in 1909. After finishing his high school, he joined his father’s creamery and worked pastime as a firefighter. In 1911, he got an appointment at the United States Military Academy in West Point, New York. He passed out from the academy, in 1915, and was commissioned as a second lieutenant. After being commissioned, Eisenhower initially served at various camps in Texas and Georgia. When the U.S entered the World War I in 1917, he immediately requested for an overseas combat assignment. But, Eisenhower did not get it on one pretext or the other. Missing out action on the warfront affected him mentally and he battled depression for a while. But, soon he gathered himself and gradually rose through the ranks on the basis of his competence and leadership skills. Eisenhower held a number of important posts during his military career; he commanding a battalion of tanks, worked as chief military aide to General MacArthur, served as assistant military adviser to the Philippine government, and was Chief of Staff to General Walter Krueger. After the Pear Harbor attack in 1941, Eisenhower was assigned to the General Staff in Washington and was given the responsibility to formulate the major war plans to defeat Japan and Germany. In November 1942, he was made ‘Supreme Commander Allied Expeditionary Force of the North African Theater of Operations’ and led ‘Operation Torch’, the Allied invasion of North Africa. The operation resulted in the capitulation of Axis forces in North Africa. In December 1943, after the success of Operation Torch, Eisenhower was made ‘Supreme Allied Commander in Europe’. He was tasked with planning and carrying out the Allied assault on the coast of Normandy. The mission was codenamed ‘Operation Overlord’. On June 6, 1944, the Allied forces landed on the coast of Normandy and the operation was successful in achieving its objectives. The success of the Operation Overlord played a crucial role in victory of Allied forces over the Axis powers. In December 1944, he was promoted to the rank of five-star General. 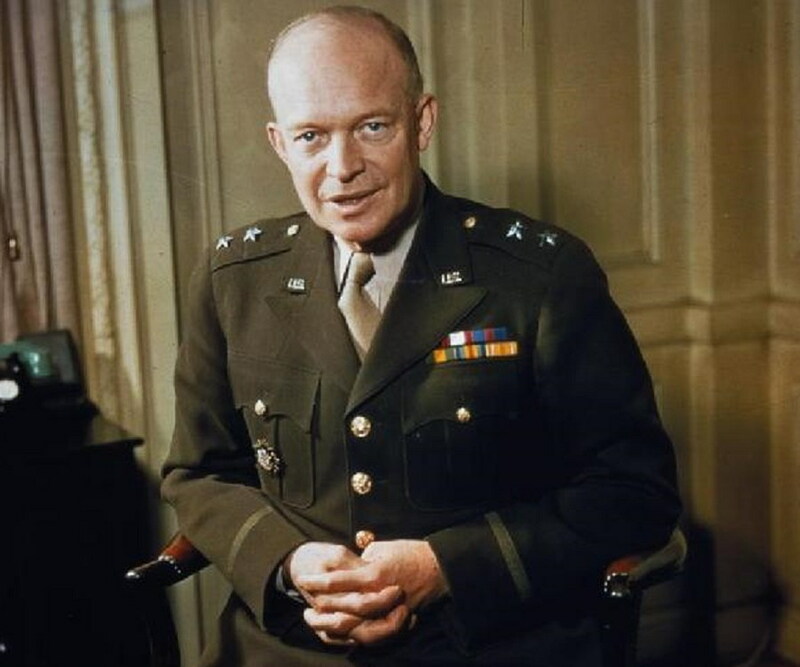 In 1945, after the surrender of the German army, Eisenhower was made military governor of the U.S. Occupied Zone. In November 1945, he returned to Washington and served as Chief of Staff of the Army under President Harry S. Truman. In 1948, he was elected president of Columbia University, and served in this position until 1950. In 1951, Eisenhower was appointed as the first supreme commander of the North Atlantic Treaty Organization (NATO) and was given operational command of NATO forces in Europe. He retired from his military career on May 31, 1952. After retiring from the active military service, he announced his candidacy for the U.S president as the Republican Party candidate. Eisenhower defeated Democratic candidate Adlai Stevenson by a huge margin and assumed the presidency in 1953. After becoming president, Eisenhower moved quickly to reduce Cold War tensions through military negotiations. During the United Nations General Assembly session in 1953, he made his landmark "Atoms for Peace" speech. In the speech, he proposed applying atomic energy to peaceful uses rather than using it for warfare. He also played a key role in ending the Korean War. In 1955, he entered into discussions with Russian, British and French leaders to negate the threat of atomic war. In 1956, Eisenhower was reelected for a second term as the U.S. president. This time too, he defeated Adlai Stevenson of Democratic Party. Even though, Eisenhower had a heart attack last year, he won by an even bigger margin. During his second term, in November 1956, Eisenhower was confronted with the Suez Crisis and he forced an end to the combined British, French and Israeli invasion of Egypt. In the process, he earned the praise of Egyptian president Gamal Abdel Nasser and later on the United States became the protector of unstable friendly governments in the Middle East. In his second term, he created the U.S. Information Agency, established Alaska and Hawaii as states, signed the 1957 Civil Rights Act and set up a permanent Civil Rights Commission. He is also credited with the establishment of National Aeronautics and Space Administration (NASA). He did so in response to the launch of the world's first artificial satellite by the Soviet Union in 1957.After retiring from presidency in 1961, Eisenhower spent the rest of his life with his wife in his farmhouse in Gettysburg. 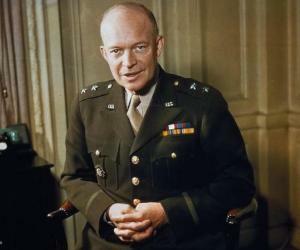 As a military leader, Eisenhower successfully led Allied forces in World War II. He oversaw 'Operation Torch' in North America and ‘Operation Overlord’ on the coast of Normandy. Both these operations resulted in the defeat of Axis powers. During his term as president, he gave emphasis on reducing Cold War tensions and was successful to a large extent in his objective. His 'Atoms for Peace initiative' was widely appreciated and he also played a critical role in ending the Korean War. During his stint in army, Eisenhower received several medals and honors. Some of them are: World War II Victory Medal, Legion of Honor, Grand Cross (France), Order of Merit, Member (United Kingdom), Order of Victory, Star (USSR), and The Royal Yugoslav Commemorative War Cross (Yugoslavia). 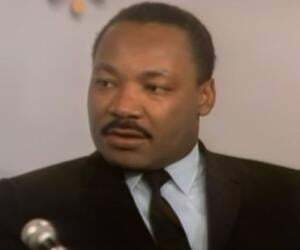 In 1999, he was awarded the Civitan International World Citizenship Award.In the same year, his name featured in the Gallup's List of Most Widely Admired People of the 20th century. There are several streets and avenue named after him in various cities of the world. After his commission in the Army, Eisenhower was stationed in Texas. There he met 18-year-old Mamie Geneva Doud and fell in love with her. They got married on July 1, 1916. 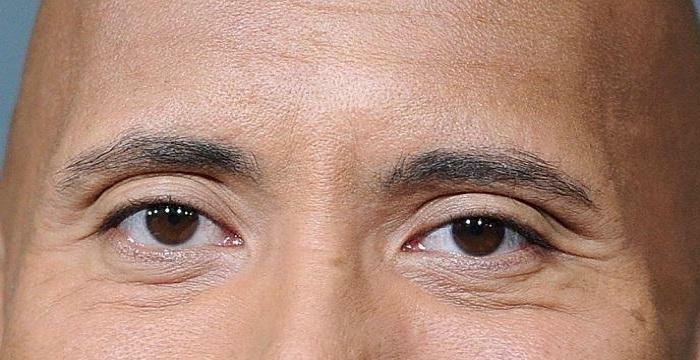 The couple had two sons. Their first son, Doud Dwight Eisenhower, was born in 1917. Doud died of scarlet fever in 1921, at the age of three. Their second son, John Sheldon Doud Eisenhower, was born in 1922. John went on to join the U.S Army and later on also served as U.S. Ambassador to Belgium. Dwight D. Eisenhower died on March 28, 1969, at the age of 78, due to congestive heart failure. This gentleman was the last U.S. President to have been born in the 19th century.